Free TV & Movies • Archives • Hey, It's Free! If you text GAMES to 727272, you'll receive a code for a free Redbox video game rental at your local kiosk! You can either head straight to Redbox with your code, reserve a game online, or use the Redbox mobile app to redeem your free game rental. Your free discount will be applied at checkout and you shouldn't pay a dime when you pick up the video game at your local Redbox kiosk. You won't spend a penny, nickel, or quarter either for that matter. I don't know how the dime commandeered that phrase. They must have amazing PR people. The freebie code is valid for 1 week after issued, so don't forget! 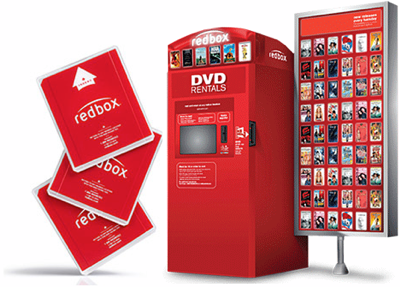 If you text VALPAK to 727272, you'll get a free Redbox rental code for a free movie or video game. The code should work online, in the app, or at the kiosk. You'll only get the first night free, so don't keep it for longer unless you want to pay for a second night. Your free code doesn't expire until 2/28, but I wouldn't blame you for using it while the little ones are home on school holiday. Thankfully I don't have to share my free codes with anyone since I don't have children of my own. It's one of life's little treats for being forever single! Watch Free Movies & TV on Vudu! If you're not a Netflix, Hulu, or Amazon Prime member, then you might not think there's an easy way to watch movies and television online. But today I learned we can watch tons of free movies and TV on Vudu in exchange for watching a few ads. There's a bit of everything in their catalog too, from cartoons to standup comedy to even old classic movies. They're not the newest movies in the world, but they do have a pretty big collection and they're free!